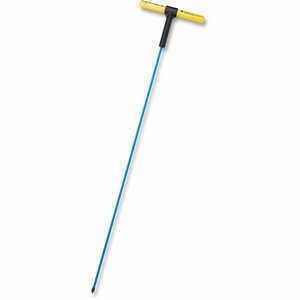 View cart “Mighty Probe Rod, 48″ with 3/8″ Hex Rod, Insulated” has been added to your cart. The Ball Nose Tip has a slightly rounded nose for delicate probing operations such as: fiber optics, gas transmission lines, water lines and other utilities. Place a small amount of “Never Seize” or grease on threads. Tighten tip securely with pliers or place tip in vice and turn handle until tight.